Christoph Steck is Director Public Policy & Internet at Telefonica. In this role, he oversees the strategy and management of Telefonica´s global Public Policy work. He steers the advocacy and defines its positions on Internet Policies and Governance and other policy issues that shape the Digital Economy. He is also Chairman of the Internet Governance workgroup of the European Network Operators Association (ETNO), Co-chair of the Task Force on Internet and Telecommunication of the International Chamber of Commerce (ICC), Co-chair of the Organizational Members Advisory Committee (OMAC) of the Internet Society (ISOC) and a member of the Inaugural Coordination Council of the NETmundial Initiative (NMI). 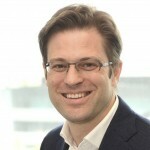 He joined Telefonica in Germany (at that time O2) in 2002 and has managed in various positions since then Regulatory Affairs, Government Relations and Corporate Responsibility for the company, since September 2008 in its global headquarter in Madrid and lately as Chief Regulatory Officer for Telefonica Europe (until March 2013). He is responsible for the advocacy of Telefonica at many key international organisation and business associations (like G20, OECD, ITU, ICANN, ICC, ERT) and is a recognised expert and speaker for digital policies and Internet Governance. In 2014 he was selected to be a member of the ICANN High-level Panel on Global Internet Cooperation and Governance and also represented international business at the High-level Committee of NETMundial, the global multistakeholder conference on the Future of Internet Governance in Sao Paulo. He has overseen also the widely recognised and influential Digital Manifesto of Telefonica. Christoph Steck is a qualified German lawyer and holds a Master of Business Administration (MBA) from IE Business School. He studied Law and Human Rights at the Universities of Cologne, Munich and London (UCL) and is also Associate Professor at the School of Communication of IE University in Madrid.